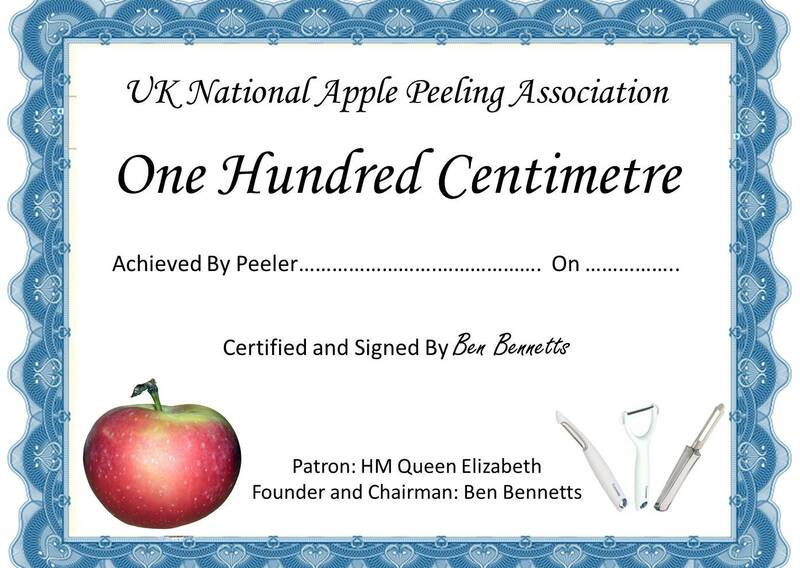 … and your name will be entered in the National Apple Peeling Association’s Hall of Fame. Be the first entry! Hang your certificate with pride either in the kitchen or in the living room. It is forbidden to hang in the toilet or garden shed. Good luck in your attempt to secure this coveted award. Click here to return to the Apple Peeling blog.